By producing material for publication on someone else’s platform you will reach different people. Whether you write a piece, are interviewed for a podcast, or participate in a video, when you’re published on someone else’s platform you reach different people than when you publish on your own platform. You could reach more people. That’s every advocate’s dream: to reach a large audience. Generally, reaching more people is better. You could reach a different demographic. It could be people who are younger or older. It could be people in a different region or country. It could be people with a different role in healthcare than you: a caretaker, a medical professional, a researcher, or a policymaker. You could reach people who will benefit from your representation of life with diabetes. Your story confirms, or at least presents, possibilities. Possibilities for a better quality of life or triumph over adversity. And in that there is hope. By publishing on other people’s platforms you gain influence. Not in a direct “I wrote the most compelling blog post every and now the world has changed” way. But in a more subtle, adding to the overall conversation and representing another point of view way. In telling our stories we need to do more. We need to do more than just share the same old stories told by the usual suspects in the same old way. For some of us this may mean stepping aside to make room. We need to share the details of our lives with diabetes, so that the the story is more nuanced. For some of us this may mean revisiting the lines drawn between private and public. 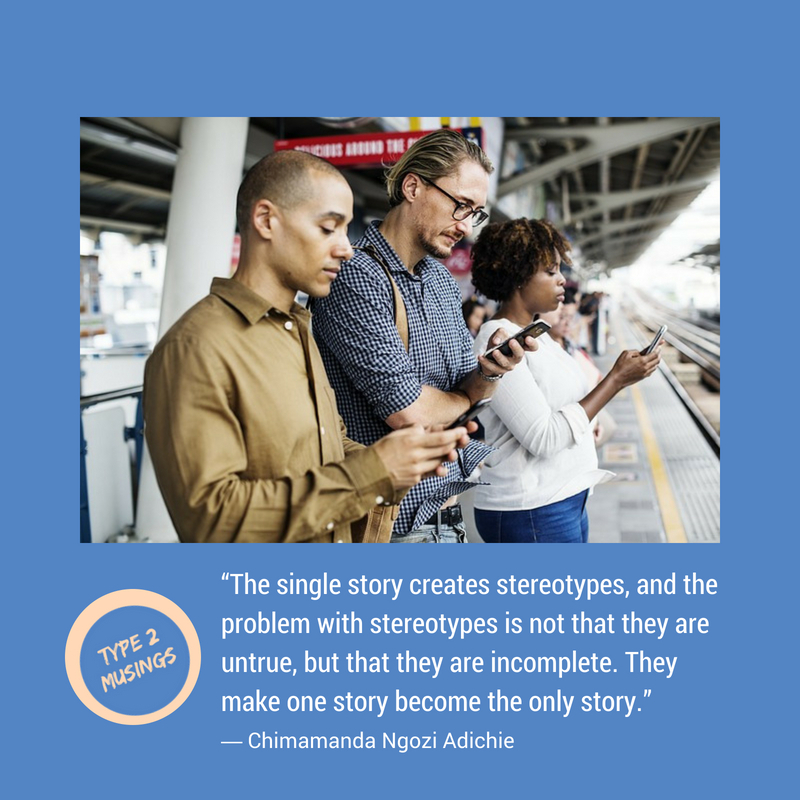 We need share the perspective that comes from our own cultures and backgrounds, so that the story is more diverse and comprehensive. For some of us this may mean taking the time to explain context for those who don’t know or understand it. We need to talk about difficult, even taboo, topics. Sexual function, anyone? So that the story is more complete. For some of us this means moving out of our comfort zone. Only when we share more of our stories and share beyond our familiar communities can we build a more complete understanding of life with diabetes. This post is a companion piece to Why patient advocates need to build their own platforms. Next Next post: What keeps you from telling your story?